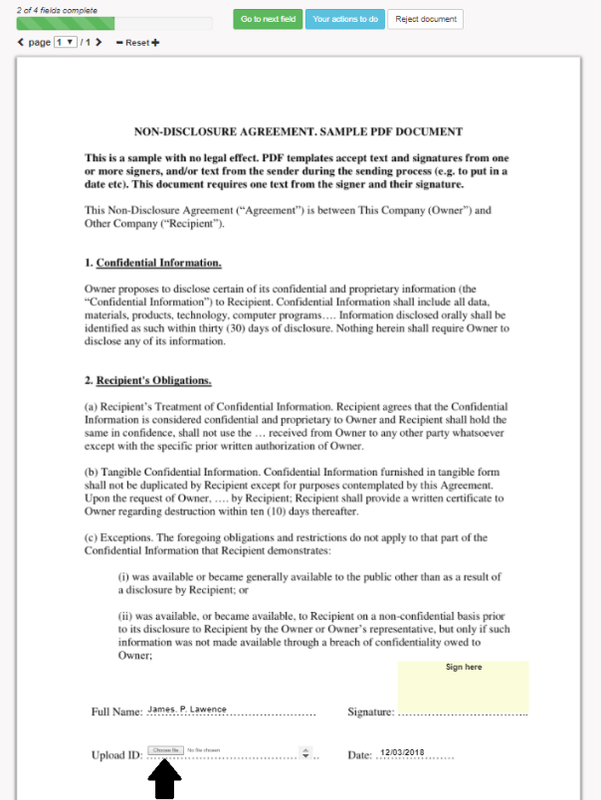 Append to PDF: this option appends the file uploaded to the PDF being completed/signed. Good for IDs or important docs since it gets certified in with the signed document. Files must be in PDF format. Zip with PDF: this options zips multiple files together and emails them to the sender as part of the notification email received upon execution of the document . This is when you know you're going to get several docs being uploaded by approvers and signers, and to save yourself some mess you get a nice and neat zipped package at the end of the day. 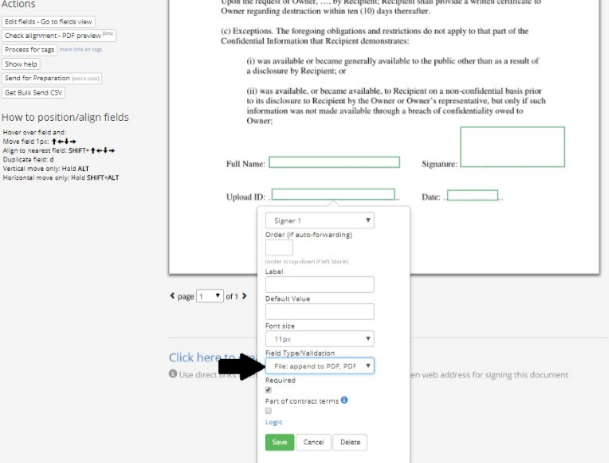 To add a File Upload field on the PDF edit page, drag and drop the field labelled 'File' within the signer form field section onto your document. File fields work for approvers as well as signers. 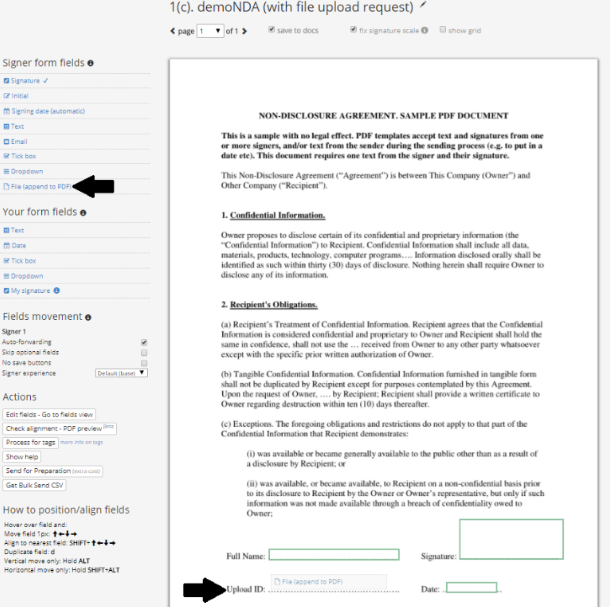 File upload fields are shown to the signer as a button labelled 'upload'. Clicking the button will enable the signer to pick a file from their computer/tablet/phone. If using a phone with a camera, a photo can be taken and uploaded. Done. Files are delivered to you from your signers and approvers.